Hits on the road: our top 15 driving tunes! Sometimes it feels like it’s all doom and gloom for car owners. With hikes in car insurance and rising running costs, it’s easy to forget the joys of life on the road. 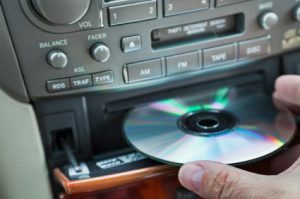 To lighten the mood and send a little cheer to those of you with your own wheels – here’s Policy Expert’s top 15 driving tunes to liven up your journey! The 1971 hit by the queen of rock ‘n’ roll was originally recorded by American band, Creedence Clearwater Revival. This upbeat classic is certain to keep your big wheels turnin’ and keep you rollin’. Oh yes, some great boy band beats, only to be played (according to the lyrics) with the ‘system up with the top down’. Now, not suggesting this is how you drive, but Meatloaf’s classic rock anthem is certainly an energiser for those long journeys. It’s only 6 weeks until Christmas, so a little seasonal cheer behind the wheel is more than welcome. …if there are roadworks, stick this little tune on and take heed. Thanks to the very literal lyrics, this is a good one for driving off on your holidays . This anthem of the mid-nineties was the band’s first single and still packs a punch. Ok, so it’s more drive away than fly away but this tune really gives the sense of freedom and hitting the open road. This single took the number1 top spot in the UK back in 1998. Bad weather can always dampen spirits on a long journey. If the heavens do open, this early 90’s reggae hit is sure to make you smile. This is a charming little song from British 2-piece Nizlopi. It was number one in December 2005, almost made it to Christmas number 1 but was beaten by X-factor winner Shane Ward. It’s sure to brighten your day… while also showing your affection for other road users – even the slow moving ones! Shouldn’t be seen as encouragement to break the law, but this is a top tune from the leather clad duo. Of course it’s important to obey the legal speed limits, but this track can indulge your rebellious side. A perfect slice of early nineties dance. Sometimes tensions can run high when people are crushed together in a small space for a long time. Perhaps this song will express the sentiment of your fellow passengers?! Maybe a celebration track for when you reach your destination? An emotional, belting ballad that’s quite a sing-along challenge. Opening track on his breakthrough album Born to Run, this tune is considered to be one of The Boss’s finest.